Fancy yourself a good photographer of the heavens? Got some dynamite images to back that up? Then submit them to the Royal Greenwich Observatory’s annual Astronomy Photographer of The Year contest! A whole pile of images have already been uploaded to Flickr for the contest. Click around those pictures; the competition is fierce. The images are lovely. 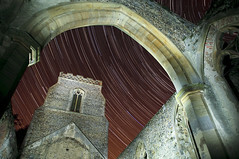 The winner receives a £1000 prize, and their shot will be displayed at an exhibition at the observatory. But hurry; the deadline for submission is noon (BST) on Friday, 16 July 2010. Get snapping! Photo courtesy Andrew Stawarz on Flickr, from the contest’s photostream.